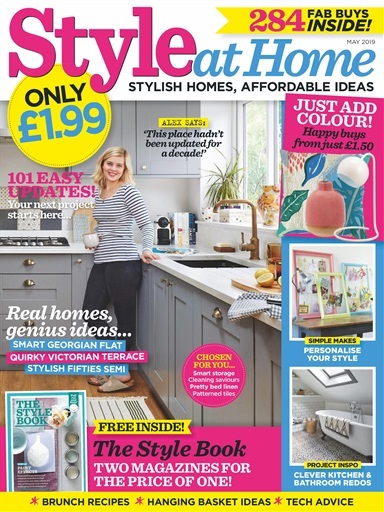 (1 Customer Reviews) | Write Review 12 issues per year The practical monthly magazine for women who take a hands-on approach to decorating, revamping and styling their home. Every issue contains inspiring real homes, projects, finishing touches, great-value shopping and affordable style ideas. Plus a special pullout ‘Cook it’ section each issue, with 50+ quick and easy recipes.